Fall is in the air! It is making me remember some of my beautiful family photo shoots from last years fall season. So I decided I am going to do a feature Friday; featuring some of my favorite sessions. 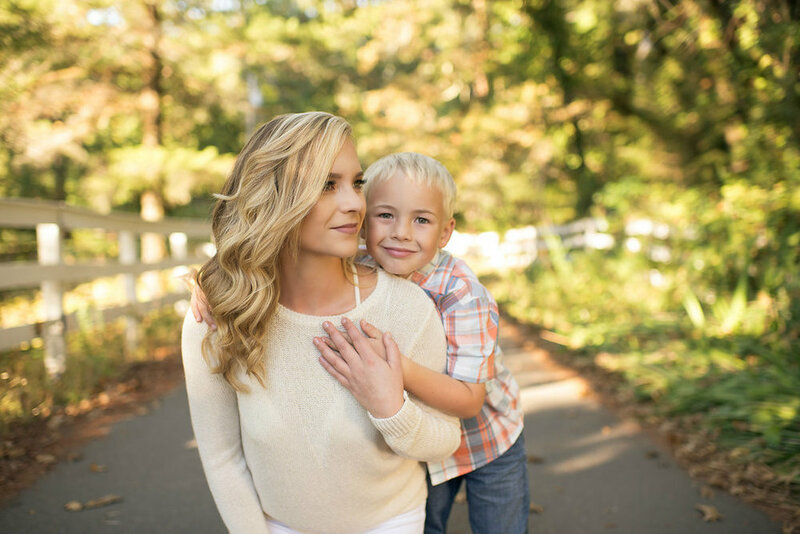 First up….. this family session! Families come in all shapes and sizes. I did this picture perfect family of two last October. It was a beautiful day and we traveled to two locations close to one another. There are two things that made this session so great! First one: Heather had her hair and make up done. This does make a big difference! If you are going to pay to have a family session, I would also make the investment of getting your hair and make up done, so you look and feel your best. It makes a difference in the images, and these images will be with you forever. The second element that made it go so great was the outfit selection. Outfit choices are key in producing great family photos. Not sure how to plan the perfect outfits? No worries, I’ve got your covered. When you book your session with me, you receive a family prep guide filled with great information and a section on how to plan great outfits that photograph well.